Restaurant search and review website Zomato Media Pvt. Ltd said on Monday that the company has reached operational profitability in six markets, including India. Zomato has also turned operationally profitable in the United Arab Emirates, Lebanon, Qatar, the Philippines and Indonesia. The news comes at a time of growing concerns around business models of food tech start-ups and their ability to scale their businesses beyond metro cities. Gurgaon-based Zomato has been aggressively trying to cut spending and improve business dynamics in at least the last 6-10 months to achieve profitability. “We have more than doubled our revenue year-on-year for the last few years, and we are going to post some great growth numbers this year as well. We are profitable in six of the 18 markets we are the market leaders in,” said Deepinder Goyal, co-founder and chief executive of Zomato. Zomato, which makes money by charging a monthly subscription fee from restaurants, in January ventured into table bookings, a high-margin business to bring additional revenue. Started in 2008 by Chaddah and Goyal, Zomato ventured into food-ordering in May after several new food tech companies started attracting strong investor interest. The company today gets 22% of its traffic and 35% of its overall revenue from India. According to Zomato, its India business today gets over 10 million monthly unique visitors and serves over 15,000 orders a day at an average ticket price ofRs.575. In the last three years, Zomato has expanded its operations to 23 countries, and claims to be the market leader in 18 of them. The company has made eight acquisitions outside of India, including Urbanspoon in January 2015 for $52 million. “2015 has been a challenging year for food-tech, and the market has seen its fair share of correction in recent months. 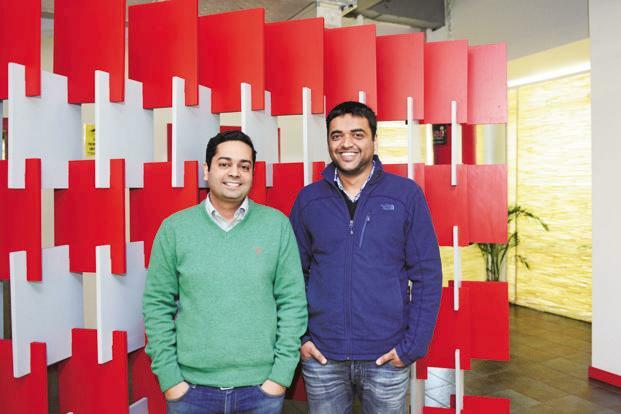 It takes discipline to maintain a focus on and work towards profitability, and we are proud of the Zomato team for getting here,” said Mohit Bhatnagar, managing director of Sequoia Capital India Advisors. Last month, Zomato shut operations in four cities citing poor demand. In October, the company cut 10% of its workforce. “Zomato has emerged as one of the finest global consumer Internet businesses to have come out of India. They’ve grown to a position of dominance in most of the markets they operate in, and have scaled revenue with a known path to profit…,” said Sanjeev Bikhchandani, founder and executive vice-chairman, Info Edge India Ltd.
Zomato was valued at about $1 billion in September when it raised $60 million from Singapore’s Temasek Holdings Pte and existing investor Vy Capital. The firm has raised about $225 million since inception. It today faces stiff competition from Bengaluru-based Swiggy, which raised $35 million in January.